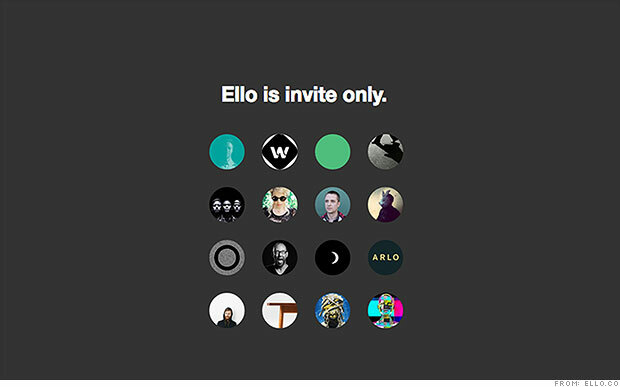 Should you Jump on the Ello Brandwagon? When new social media sites like Ello take the world by storm, it’s easy to jump on the bandwagon. I did (to satisfy personal intrigue). And I’m still waiting for my invitation to the popular table. Sigh. But for a brand, it’s different. You must choose intelligence over impulse to be successful. Dozens of companies jump on the “brandwagon” as soon as a new social site comes out, and forego a strategic evaluation. With countless social sites out there, the only way to be efficient yet successful on social is to – prepare yourself – make sure the new site aligns with overarching brand goals. Being on a site just to be there is, to put it bluntly, a big waste of time. Whether it’s the hype of Ello or Snapchat’s social takeover, here are three things to consider before saddling up and jumping on the brandwagon. 1. Does the demographic match your target audience? But if your target is moms, let’s say, you may want to consider sites like Pinterest. You wouldn’t pitch a story about a one-of-a-kind pair of earrings to a Wired editor, why would social media be any different? So who’s on Ello? RJ Metrics found 37 percent are female and 63 percent male. If you’re targeting males, it could be a good fit, but you may want to wait on further age-specific data before deciding. 2. Can the site’s platform and functionality truly help you reach goals? For some brands, it’s all about building buzz and awareness. Sites like Instagram are perfect for meeting those goals. But, since you can’t link within Instagram posts, this may not be as strategic for brands looking to increase website traffic. Before you jump on the brandwagon, spend some time on the site to see all of its offerings to determine whether or not it’s the right place for you. What can you do on Ello? It’s a visual platform, so you must have compelling images to attract an audience. You can also link within posts, meaning increasing website traffic is a possibility. 3. Do you have enough time to build out a robust social plan, or will this be another “check-the-box” sort of deal? If you’re just checking the box on a social media site, posting once per day to cross the task off your to-do list, you either shouldn’t be there or should reevaluate strategy. To really get the most out of your social media initiatives, you must – I repeat must – have the time available to build a presence. You need to engage with your audience, respond to comments, stay up on current trends, perform a competitive analysis, measure your progress … you get it. The list goes on and on. But, while extensive, it’s a critical list that helps your brand break through the social clutter, surpass company goals and – most importantly – convince the C-Suite that social media is a valuable business practice. How active are Ello users? From RJ Metrics’ report, it’s clear that many are signing up and scooting on out. Six days after signup, only 20 percent of users stayed with the site. Of those active users, 27 percent have posted more than three times. Will you be one of those one-and-done users, or can you devote adequate time to really build your presence? While Ello may be the shiny new penny, only time will tell if it turns into a must-have social media currency. But with this site in particular, I’d take caution before joining. It was developed as a site for users to get away from – not connect with – brands and their accompanying advertisements. Have you jumped on the Ello brandwagon? What are your reasonings for (or against) it?